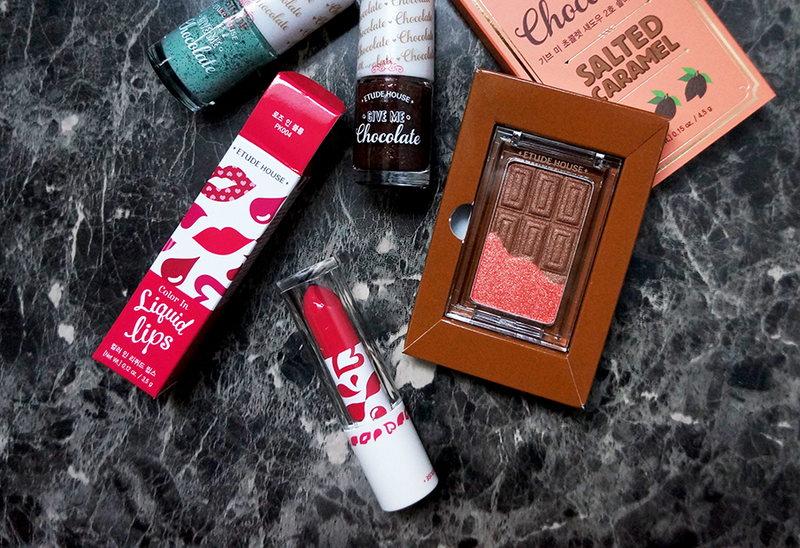 A week ago while I was doing my last minute shopping for the upcoming trip back home- I stumbled across Etude House's Limited Edition Chocolate range for Valentine's this year! 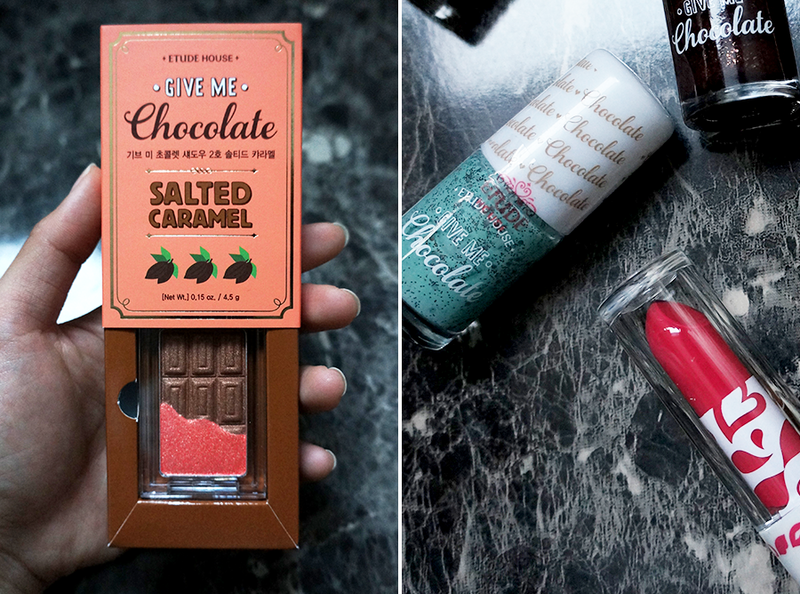 The eyeshadows are in chocolate bar form and the nail lacquers has a hint of chocolate smell as well! I tried to contained my weakness for their nice packaging and only limited myself to these. Valentine's day 2015 (so far)- So, we were babysitting John's niece since yesterday afternoon and we just sent her back to her parents at around noon today. Babysitting isn't my kind of pleasure to see or participate in while work is pending and the whiny gimme that now or i'll cry is another level of layan patience given including the night sleep with counted rounds of more whining and crying. Yes, it's a commercialize, overpriced roses kind of day but I guess I'm just finding an excuse to go on a date, any kind of date- be just us two. The bright side this time is that we are both in the same timezone, in the same room (albeit in the in laws' house) and while I wait for him to finish up his work...I know we are all trying to make it work. Truth is, I'm copping with my own quirky family state back home and to come here needing to layan (in capital letters) another family could be adding too much salt to an existing wound. 23:00- we just got back from a drive, went to the 24hour mart and got 2 packets of msg loaded snacks together with some cans to chin chin before hitting the hills for a star gazing night. The stars were up flooding the sky, talks were made and shared. Antidote taken, we slept till dawn appeared, same thing reminds when we awake but here we go again in our imperfect mess with more love to see us through.